Topics: Financing Options for Your Business; WordPress – the Perfect Website Solution for Small Businesses; Building a Small Business Benefit Plan; Self-employment and Entrepreneurship for the Boomer Generation; Legal Issues in Small Business, etc. Learn the tools and resources you will need to forge ahead in your business. Admission is FREE but registration is required at www.toronto.ca/enterprisetoronto or telephone at (416) 395-7416. Russian Course by Alexander Lipson is the best Russian textbook ever. 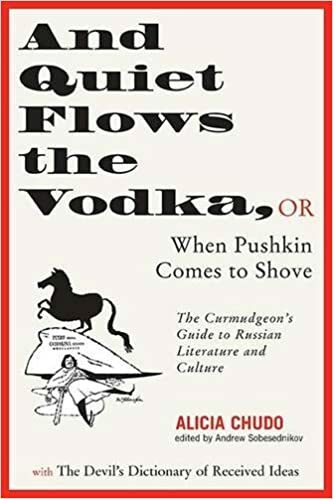 The author deliberately tells simple stories making surreal fun of Soviet propaganda cliches and combining the satirical absurdity with elegant grammatical analysis. What other textbook will teach you how to say, “Comrade director, nobody loves me. Nobody understands me. I’m alone. I’m alone”? The Canadian Youth Business Foundation (CYBF) is pleased to announce that the Honourable Maxime Bernier, Minister of State (Small Business and Tourism), has announced the YOU Innovate Canada secret everyday household object in Ottawa and already generating a lot of social media buzz. The 2012 YOU Innovate Canada tournament object is……an egg carton. If you are an entrepreneur with a degree in Science, Technology, Engineering or Mathematics in Southern Ontario, and are looking for business support services and financing to successfully launch and manage your start-up business, VentureStart is an ideal opportunity you should explore. VentureStart is a new program that enhances the success rate of start-up enterprises by providing essential business training for technology entrepreneurs. Plus, your start-up enterprise has the opportunity to be approved for matching seed financing of up to $30,000 (subject to approval). Learn how simple green strategies can attract more customers, increase sales and reduce your business costs! View full program at http://bit.ly/eTk1EW. Admission is FREE but registration is required at www.enterprisetoronto.com or telephone at (416) 395-7416. Interested in learning more about entrepreneurship? Looking to start a new venture? Look no further! Entrepreneurship 101 is a free, non-credit introductory course about entrepreneurship offered by MaRS. Over 29 weeks, Entrepreneurship 101 takes you through all the steps of building a successful business. In this lecture, get a sense of the scope of the course and how it applies to your start-up. Future lecture topics include financing, business modelling, defining markets, hiring teams, protecting intellectual property and raising capital. SRED Unlimited and RBC Steeles && Dufferin branch are hosting a SR&ED seminar on October 13, 2010. The event starts at 6pm. Admission is free. Come learn about SR&ED (Scientific Research & Experimental Development), an incentive program by the Canadian government that refunds companies involved in Research and Development (R&D). If your company is dealing with technology, or at least has production environment, there is a good probability that you are entitled to some refund of your R&D expenses. Come to our seminar to find out. Intended For: Companies that spend money on creating or modifying products or processes through experimenting. Any company that deals with technology (software and hardware development, machinery, printing etc., even food technology and biotech) may qualify for SRED. Register on LinkedIn or Facebook.